Men and women who are having problems with their vision will likely want to make an appointment at Parrelli Optical, which employs some of the best optometrists in the Somerville, MA area. In fact, individuals who find it hard to read a book without experiencing ocular strain may need corrective lenses. Once they have seen an optometrist and have been asked to read letters from the classic chart, they will have a better idea of where they stand. The experts at Parrelli Optical are quite experienced and can even help with prescription sunglasses. Most individuals who play sports or engage in regular mechanical work will need to protect their eyes as much as possible. From home safety devices to goggles for athletic events, optometrists will be able to point patients in the right direction. Men and women who work in welding might be especially vulnerable. Because vision is so important for so many of the tasks of daily living, people should always listen to the professionals before picking out appropriate protective gear. Sunglasses are especially vital for blocking ultraviolet rays during the height of the day. Parrelli Optical has received a number of five-star reviews in recent months. 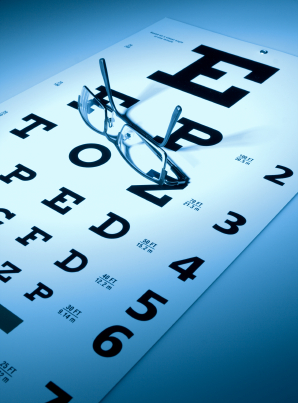 The staff members are knowledgeable and courteous, and people can typically get in for an eye exam rather quickly. The optometrists are also experienced when it comes to choosing frames for a new set of glasses. While corrective lenses are ultimately the most crucial part of any procedure, most people will also want to look as stylish as possible. When researching optometrists in the Somerville, MA area, anxious individuals will quickly be placated by the wonderful professionals at Parrelli Optical.